God is always wanting to give us more of His Spirit – His generosity knows no limits and the gifts He gives do good to us and others too. Let's be a people familiar with the gifts He wants to give us: expecting them and using them at all times. God is good and loves to give good gifts to his children. 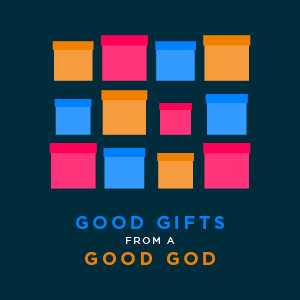 God wants to deliver His gifts to us for the good of all His people. Matthew explained what the gifts of prophecy and discernment of spirits are. Jesus is building His Church and He will give us everything we need to do this with Him. He gives us gifts of ministries, described in Ephesians 4, to help us grow in maturity and unity. The gift of tongues is one of the more unusual gifts that the Holy Spirit, but we’re clearly encouraged in the Bible to seek it and be blessed by it. It will do us good, and with interpretation can do others good as well. God calls all of us to serve, however we feel about it. Jesus is our great example of this, and in God's kindness it's also a great way to grow in maturity. God wants us all to grow in faith 'more and more' (2 Thessalonians 1:3). It's a commendable quality (Hebrews 11:1) that Jesus is looking for (Luke 18:8). It's a God-given certainty of unseen realities that leads us to action (Hebrews 11:1).